From the presented results it may be concluded that the suggested aproach to power unit modelling offers a number of convenient features for its further development and subsequent implementation for real cases of power units. This methodology has shown fruitful especially for power units of smaller size, where the dimension aspects can be treated in an approximate way. Further developments will be in two main directions. 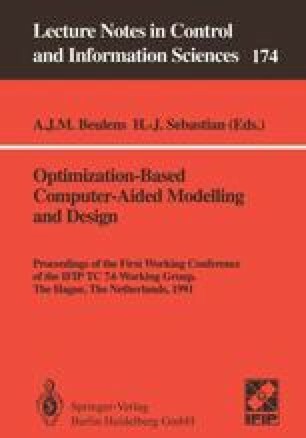 First, the original mathematical models will receive additional refinements to reflect still better the realistic engine behaviour and the influence of interacting systems (propeller for turboprop engine, mixing scheme for bypass engine, technological bounds on certain quantities, control unit, etc.). Second, the user-oriented environment will be extended by adding new complex options reflecting the demands of practical implementations of the decision support system GoL e M.
Such options concern mainly the direct access to optimal control algorithms to determine optimal control laws for the engine control unit or to accomplish a computer-aided (automated) adjustment or optimization of design parameters with respect to the available experimental data. The gained experience with practical exploitation of such system in design and testing laboratories is promising and confrontation with real-world situations contributes to its further improvements. Moreover, such system is nowadays also used as an advanced and efficient education tool for students with mechanical engineering background.